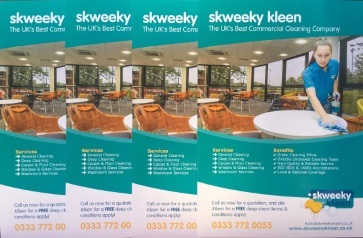 Skweeky Kleen is offering new customers a free deep clean of their commercial premises. Whether you manage an office, school, restaurant or warehouse, Skweeky Kleen will give your premises a thorough deep clean – for free! This will include high level cleaning, carpet/floor cleaning, vacuuming behind and under furniture, and getting into all those awkward nooks and crannies where dust and dirt can build up. The Terms & Conditions are simply that you sign up to a new contract with a minimum term of 12 months, with at least 10 hours cleaning per week. We will deep clean all the areas that are covered in your cleaning specification.